Character Hotel Business and Restaurant for sale in Piemonte Langhe Hills Langhe Hills (ref: 8036)- Wonderful traditionally styled Hotel with swimming pool in vineyard location. 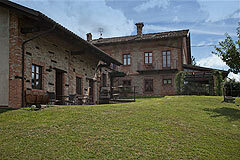 Excellent Business opportunity.. Piedmont Properties in Piemonte. Property for sale Langhe and Piemonte. Map for Property ref: 8036, Character Hotel Business and Restaurant for sale in Piemonte - Wonderful traditionally styled Hotel with swimming pool in vineyard location. Excellent Business opportunity.